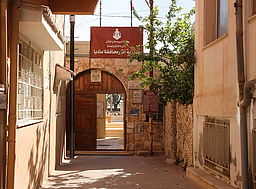 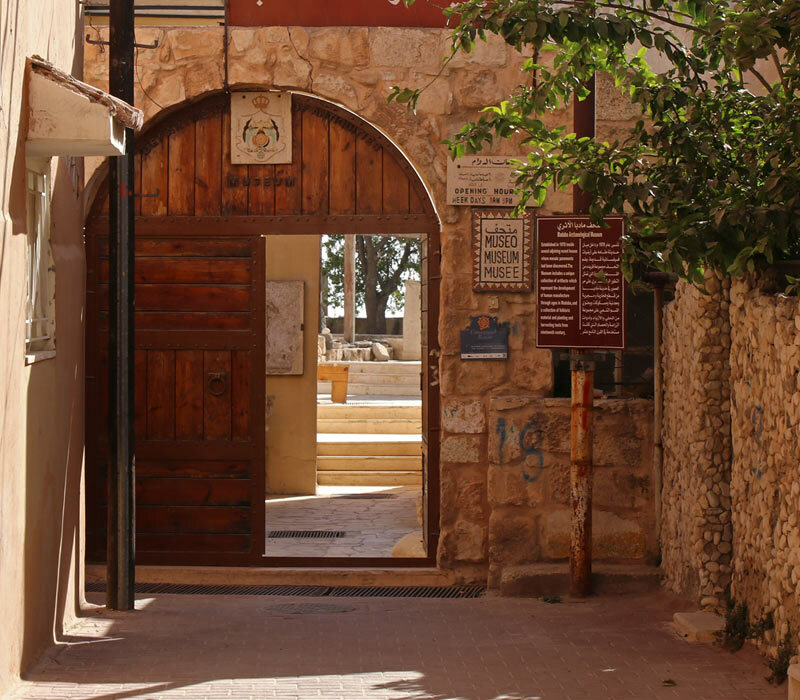 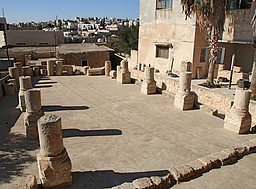 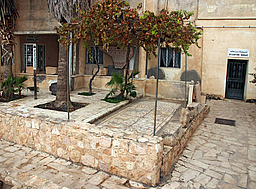 Established in 1978, the Museum is located in a residential courtyard at the end of a blind alley that branches off from Balqa Street. 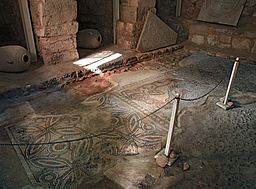 It consists of several old houses and courts which display mosaic floors found in situ, or transferred there from other places for conservation reasons. 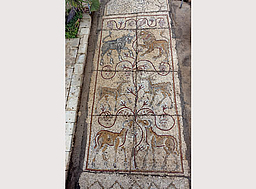 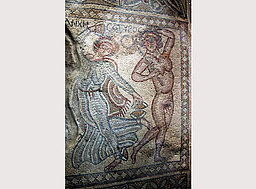 The Bacchic Procession, the first mosaics encountered by the Christian Bedouins of Karak, who settled on the ruins of Madaba in 1880. 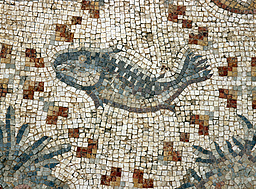 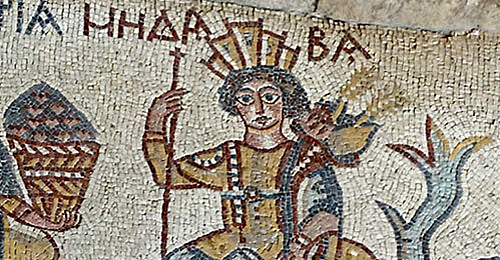 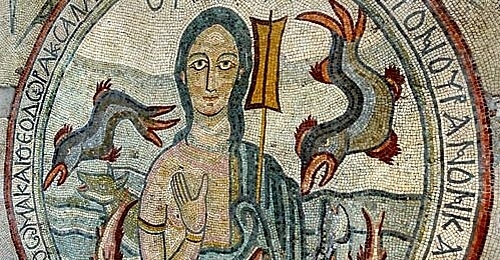 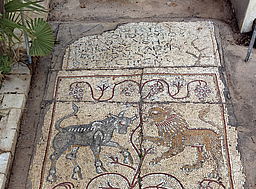 The Mosaic of the Lower Baptistry Chapel, the earliest known work of Byzantine Madaba, discovered underneath the Chapel of the Martyr Theodore. 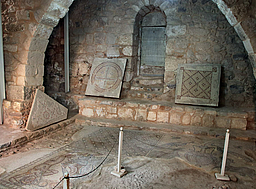 The Chapel of the Twal Family, and the Mosaic of the Paradise in the house of Farid al-Masri, both with exquisite floors uncovered on site. 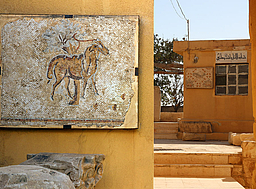 Rooms with archaeological finds from various periods and as well as ethnographic exhibits, including costumes, jewellery, weapons and carpets are also part of the museum.